Ad from the Portland News-Telegram on June 27, 1930. 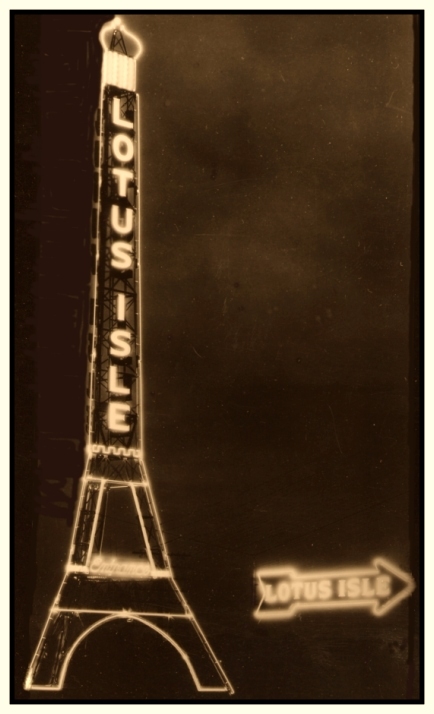 Portland’s largest amusement park was called Lotus Isle, the “Million-Dollar Pleasure Paradise.” Lotus Isle spread out over 128 acres east of Jantzen Beach and it officially opened June 28, 1930 with the fanfare that included an official welcome from the Governor of Oregon, Albin Walter Norblad. 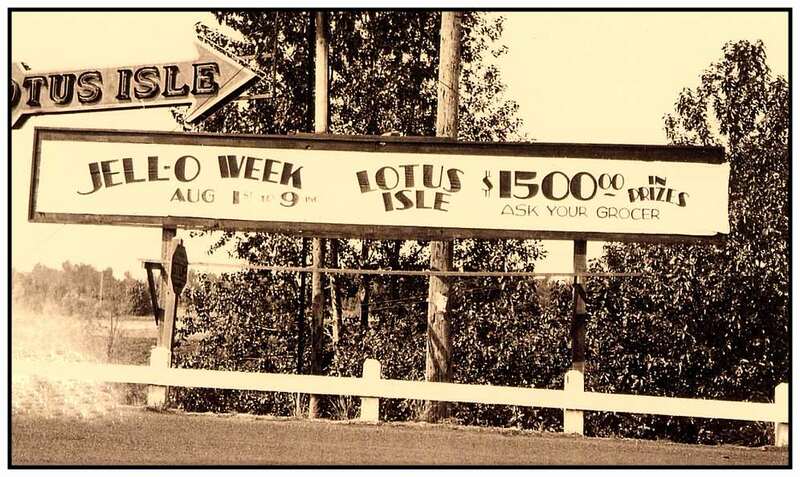 Lotus Isle was known as the Wonderland of the Pacific Northwest and you could take in over 40 rides at the amusement park. The park’s name was derived from the Lotus Water Lily, which was associated with euphoria and enlightenment in Oriental and Egyptian mythology. The 100-foot neon Eiffel Tower sign at the entrance was visible from the West Hills to Vancouver. 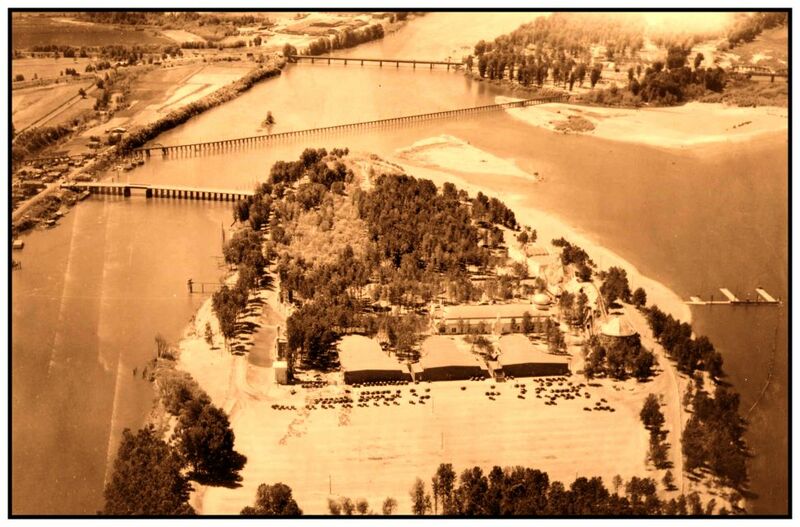 Lotus Isle was built on Tomahawk (Sand) Island, the site of the old Columbia Beach Amusement Park. To get to Lotus Isle, you would drive out to the Interstate Bridge and look for the neon Eiffel Tower sign, which would direct you east to Faloma, where you crossed the wooden bridge to Tomahawk Island. You could also take the Vancouver Street Car, which had a separate bridge and let passengers off at the Lotus Isle Depot, which was near the Park’s Main Entrance. Opening Day at Lotus Isle Amusement Park was June 28, 1930 and some events on that day included performances by: Charles Skinner , World Champion Surfboard Rider; Happy Kuehn, World Champion Diver; Tex Rankin’s Air Circus; Frank Kenin and his Lotus Isle Orchestra in the Peacock Ballroom; as well as a band concert in the Band Rotunda by Ashley Cook’s Band, a monster fireworks display and thrilling feats in the air by the Daredevil Zonas. Known for its Peacock Ballroom and Egyptian style buildings, Lotus Isle boasted a 3/4-mile long Alpine Roller Coaster running through mountain-top landscapes of Mt. Hood and St. Helens. 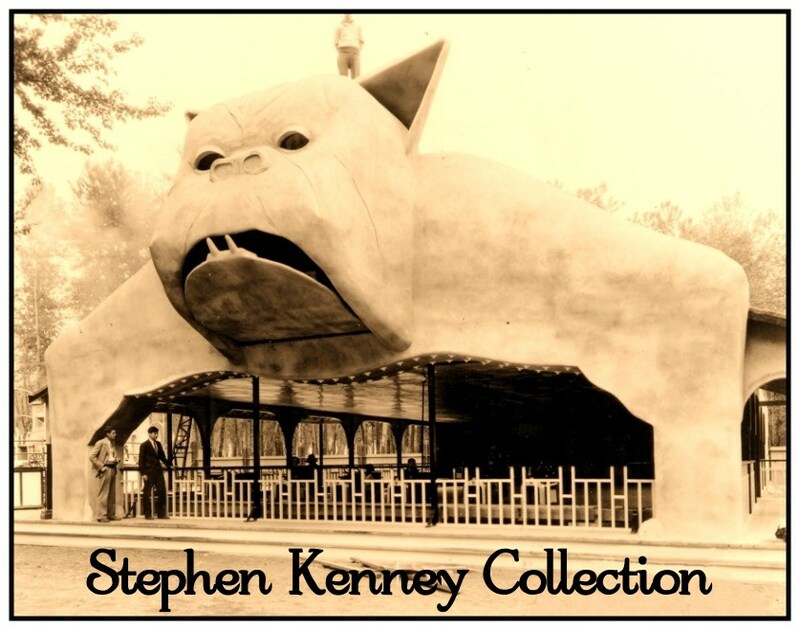 The Bulldog, with his huge mouth that opened and closed, housed the bumper cars. If you look closely, you will see a maintenance worker standing over the Bulldog’s left ear. 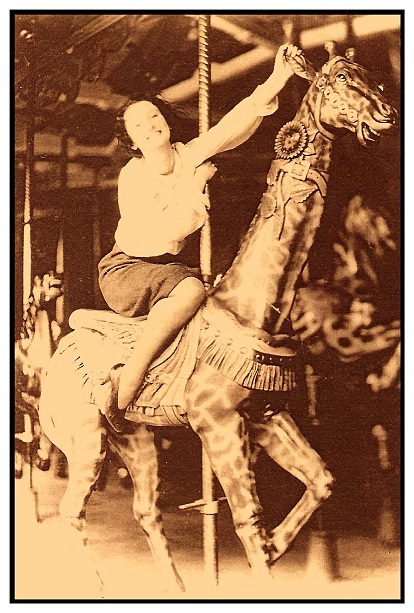 Dorothy Boskill riding the Carousel at Lotus Isle on May 16, 1931. 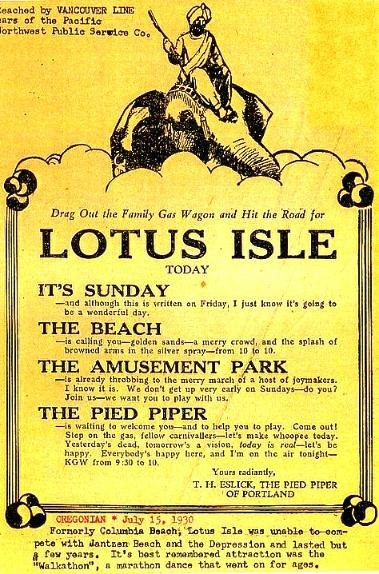 According to the script for a 1931 radio advertisement for Lotus Isle, you could “ride the new $40,000 Merry-Go-Round or the $15,000 Ferris Wheel”. Rides only cost a nickel. 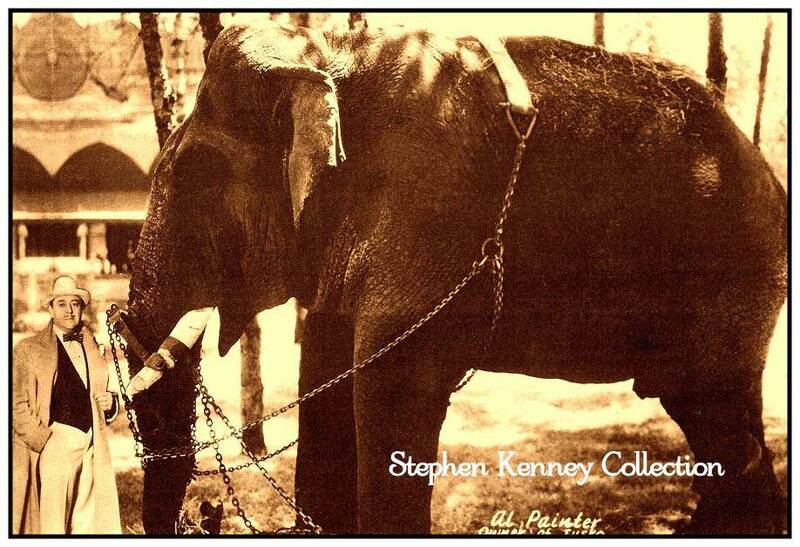 You could see the Zoo with “rare Asian animals”, 15 acres of amusements, 27 acres of picnic grounds, English bowling greens, golf courses and horseshoe pitching areas. A new miniature train a mile long encircled the park. Aerial view of Tomahawk Island and Lotus Isle Amusement Park on June 5, 1931. On the left are three bridges: the lower one is the car and pedestrian entrance to Lotus Isle; the middle bridge is a trestle for the Vancouver streetcar; and the upper bridge is the access to Hayden Island and Jantzen Beach. There were accommodations for 15,000 picnickers and parking for 5,000 cars. In 1962, the area between the two islands was filled in and Tomahawk Island is now connected to Hayden Island. Al Painter at Lotus Isle with Tusko the Magnificent in Portland in 1931. 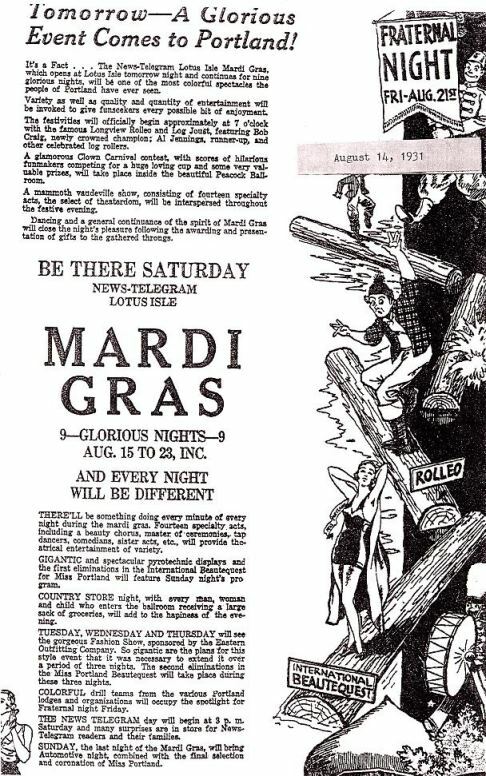 The first major walkathon in the Northwest was held in Portland at Lotus Isle Amusement Park in 1931. Two other walkathons were held in Portland that year and all three were involved in legal controversies regarding the hiring of contestants who were expected to endure long hours and there were allegations that women or children were subjected to discriminatory practices. The crowds flocked to Lotus Isle to see fifty-six couples who competed in an endurance contest that continued for several months from February 19, 1931 to June 3, 1931. The Peacock Ballroom at Lotus Isle, which is thought to be the birthplace of the walkathon, was a very popular place. Evening dances held sway at the magnificent Peacock Ballroom from 9:00 pm to Midnight. Dancers would swing to the orchestras of Herman Kenin and Archie Loveland and enjoy the stellar entertainer and banjoist Monte Ballou. Couples at the walkathons would compete for thousands in cash and prizes to see how long they could dance continuously, sometimes for several days at a time, taking a 10 minute break every hour. Several faux weddings were held in the Peacock Ballroom during the walkathons. Interior view of the Peacock Ballroom in August 1931 during the General Mills Jello Week, just days before it would burn to the ground. 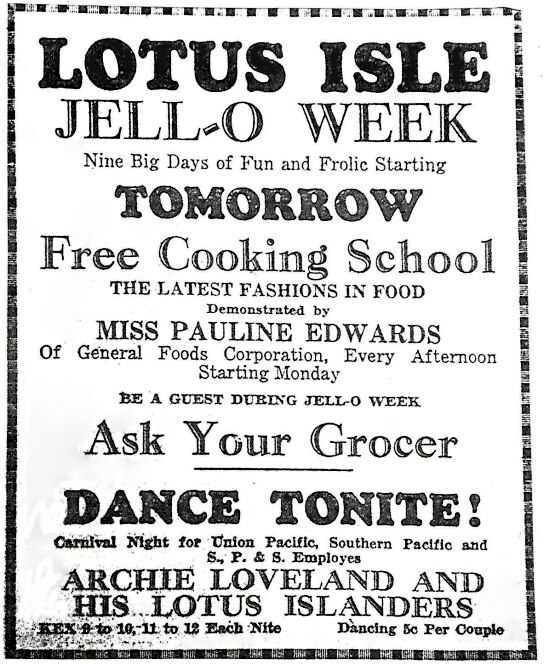 Jell-O Week was held at Lotus Isle on August 1-9, 1931. During Jello Week, this 1931 Chevrolet, a radio and many other prizes were awarded. 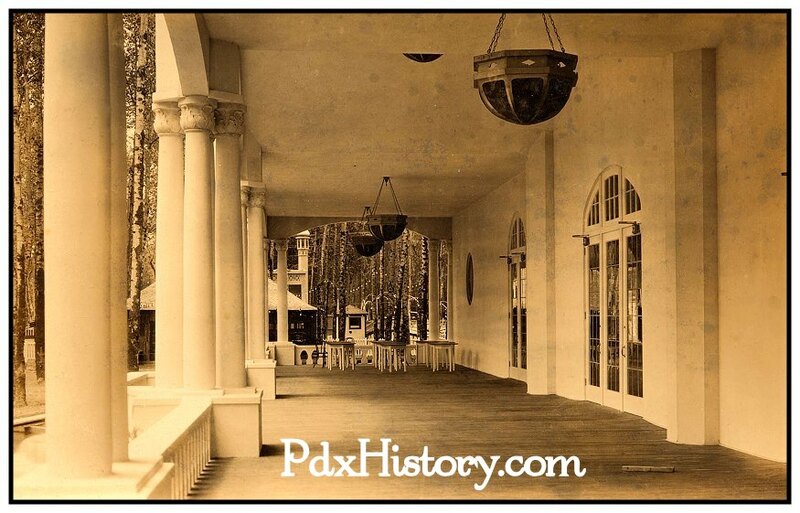 The Peacock Ballroom had a wide veranda overhanging the lake. Nearly 1,200 Oregon and southwest Washington grocers participated in Jello Week. 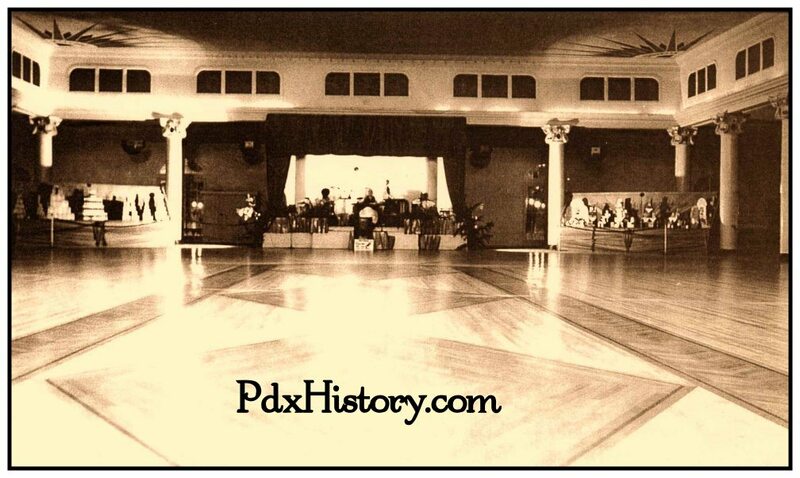 The Peacock Ballroom was only approved for 6,600 people at one time and stories were told of overcrowding with up to 8,000 coming out to Lotus Isle in the evenings to see the spectacle of the walkathon. 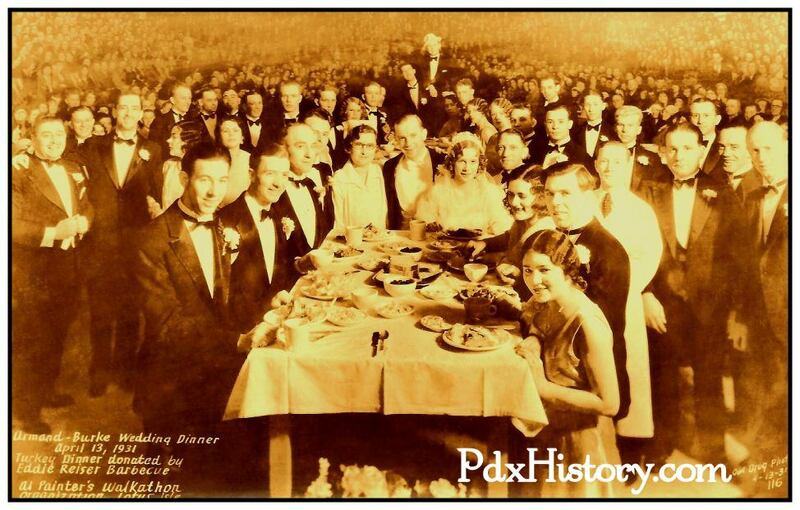 The building caught fire and burned to the ground on August 24, 1931 in one of the more spectacular structure fires in Portland history and it is said the heat from the burning dance floor could be felt across the river in Vancouver. According to the newspaper, there was a second ballroom at Lotus Isle that was actually a skating rink. It was said the floor would have to be rebuilt to accommodate dancing. 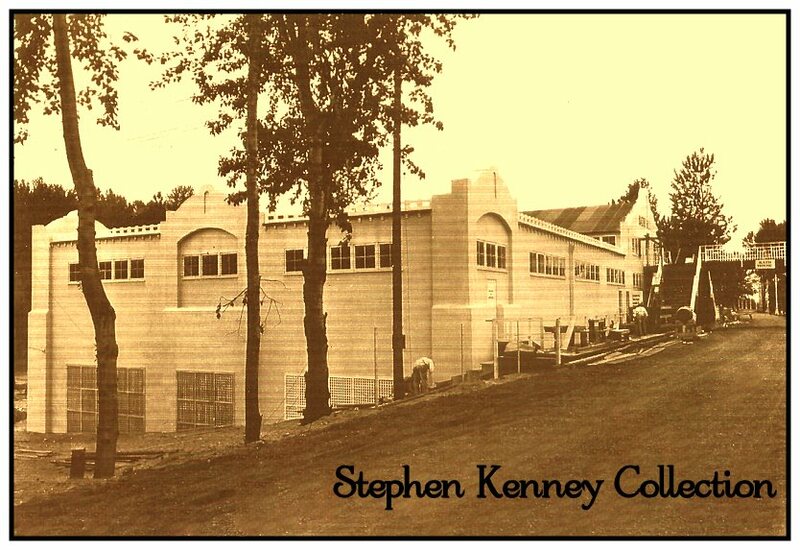 In the days before air conditioning, a dance hall or skating rink could get pretty warm on a hot summer night. Stories are told that the skating rink at Lotus Isle had “openings” (patrons didn't call them windows) with chicken wire across them for ventilation. Skaters learned in a hurry not to touch the wire as they would get a shock. Another walkathon, the 1932 Hurricane Model, billed as nine times faster than any other walkathon, was held at Lotus Isle in the Grand Ballroom from March to May 1932. Ted Mullen was advertised as the chief emcee along with assistant emcees Eddie Cotton, Chief Nut and Clown Quince. Doug Angus, matinee idol, was billed as an entertainer. According to promotional material, “Ted Mullen, our Chief Master of Ceremonies has been describing to you the terrific after-effects of those derbies, figure-eights, treadmills and whirlwinds.” On Sunday, May 9, 1932, there were four couples still pounding the boards after 1,245 hours. 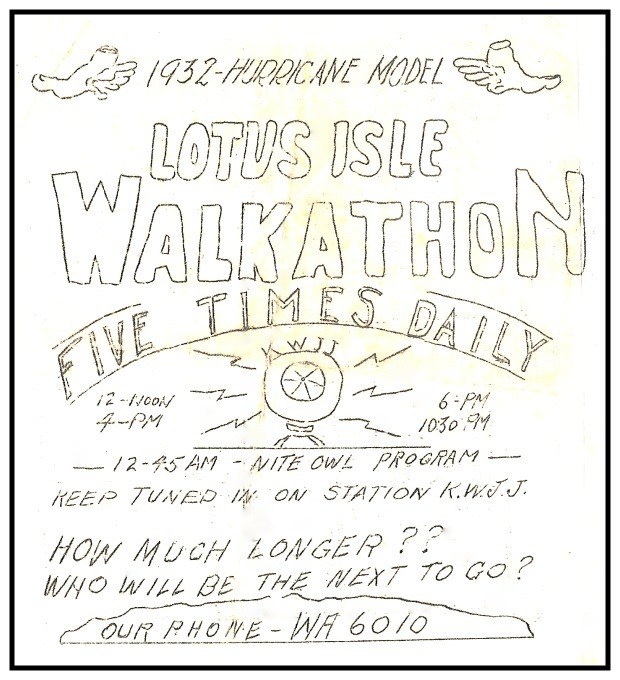 Program from the 1932 Huricane Walkathon at Lotus Isle. Live updates were broadcast on KWJJ. 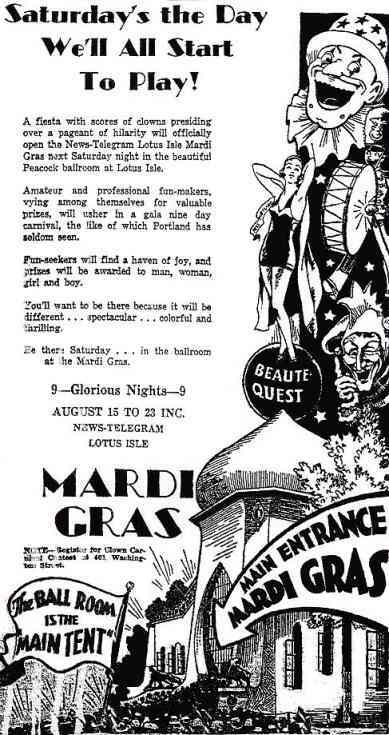 Ad from The Oregonian on July 15, 1930. 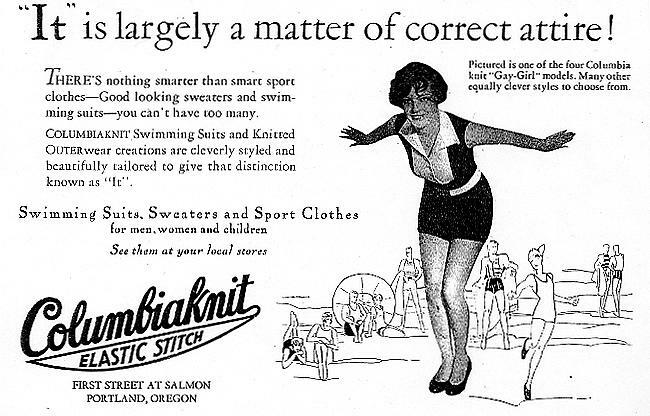 Jantzen Beach had the Jantzen Girl and Lotus Isle featured girls in the rival Columbia Knit bathing suits. 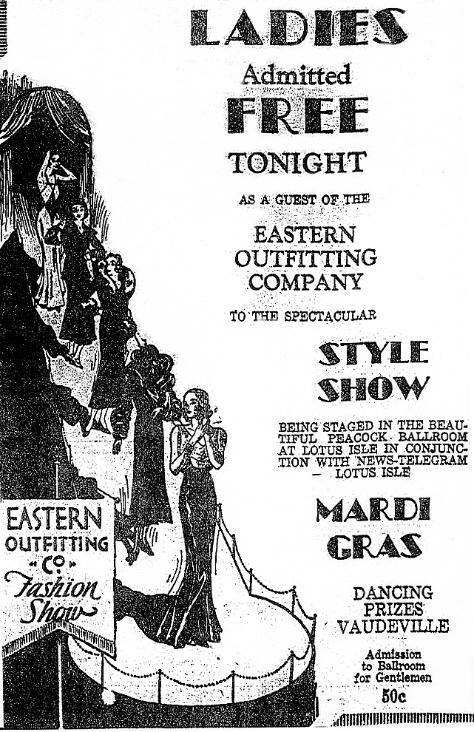 Fashion shows for the Eastern Department Store were held at Lotus Isle . In this ad from August 11, 1931, you can see the 100-foot dome of shimmering gold on the Peacock Ballroom which was modeled after St. Sofia in Constantinople. This ad from August 14, 1931 tells of the Rolleos Log Rollers from Longview and the coronation of Miss Portland. Ad from July 21, 1930. 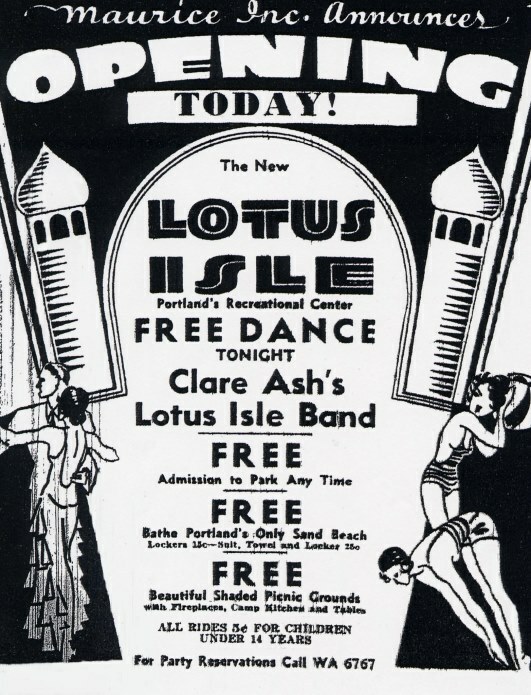 When Lotus Isle opened for its third season in 1932, management of the park was now in the hands of Maurice Inc. which was owned by Maurice I. Smith who had been the manager at Jantzen Beach for two years. He had also managed the famous Erie Beach in Buffalo, New York. Ad from the Oregonian on May 28, 1932. Had history taken a different path, Lotus Isle may not have been built. Its developers were just greedy and wanted to get the owners of Jantzen Beach to buy them out before they built the park. Their scheme backfired and Jantzen’s owners welcomed the competition. Lotus Isle was eventually built on a shoestring budget. Red ink had plagued the builders, the Columbia Beach Development Corporation, from the beginning. One of the investors, Edwin Platt, had invested a sizable amount in the development. When the Development Corporation was ready to dump the idea, Platt offered to take the yet-to-be-built park off their hands. One of the park’s later owners was said to have had gangland connections and a number of unfortunate happenings led to the park’s early downfall. An 11-year old boy drowned just before the opening season ended in 1930 and the next day, the President of Lotus Isle, Edwin F. Platt, committed suicide. 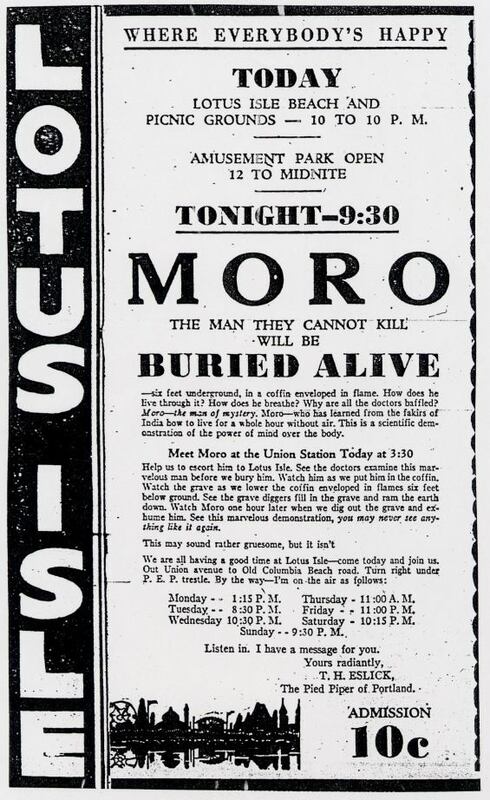 The Oregonian Newspaper from March 23, 1931 reported a plane crash at Lotus Isle when the pilot of a low-flying airplane that was experiencing turbulence crashed into the artificial mountain of the Scenic Railway at Lotus Isle, scaring Tusko and sending him on a rampage of destruction. Three men escaped with minor bruises and lacerations. Buck Ambulance took the two passengers to St. Vincent’s Hospital. The pilot, Clarence Murray of Vancouver, Washington owned the biplane, and he crawled out from the wreckage with a scratch or two. After Tusko’s episode of destruction, the buildings he destroyed were never rebuilt. Dances were held the final season on the Blue Swan, a barge which was docked on the Columbia River. 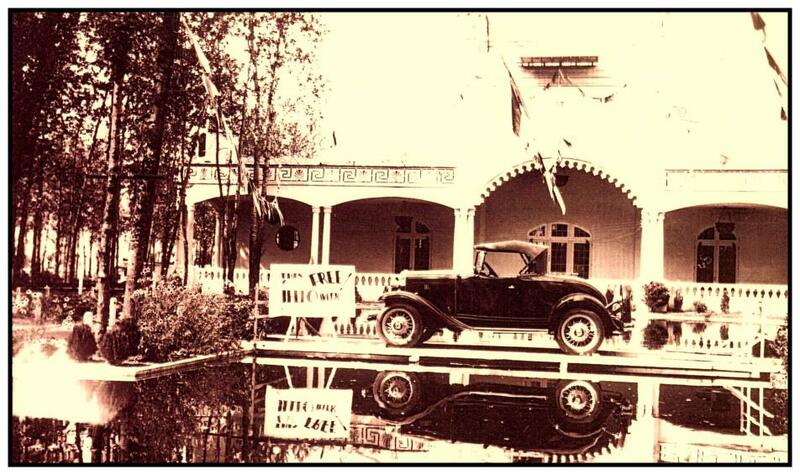 Lotus Isle never recovered and it closed after the 1932 season. The park’s assets were sold in bankruptcy early the following year. A bonfire was set when the park closed to virtually destroy all memory of the park. The 4-Row Herschell Spellman Carousel, which was made in 1914, is still operating at Golden Gate Park in San Francisco. The Spirit of the Alpine Coaster lives in the Playland Giant Dipper in Vancouver BC. The 75 hp motor, the switch panel, and much of the machinery, including the chain came from the Alpine Coaster that was built in the late twenties at Lotus Isle here in Portland. Today, much of the land where Lotus Isle once stood is covered with exclusive living communities that are home to some of Portland’s most affluent. However, Tomahawk Island Drive takes you right to where the amusement park once stood. There are moorages, houseboats, marinas and probably a hundred or more houses. There are several boat dealers and nautical supply shops and there is even a café. There are lots of sidewalks and jogging areas. New condominiums have risen in its place. The City of Portland built and maintains a small park there, Lotus Isle Park. From the park, you can still see the pilings from the 700-foot trestle that once carried the streetcars that went on to Hayden Island and then to Vancouver, Washington. This is a little-known community that is basically open to the public, though it is posted Private in several places. Tomahawk Island got its name in 1927 when Portland school children were asked to give Sand Island a new name. Apparently there was a tomahawk in an exhibit at the Lewis & Clark Exposition in 1905. Legend has it that an Indian brave thought the tomahawk shouldn’t be there and that he buried the tomahawk on Sand Island.